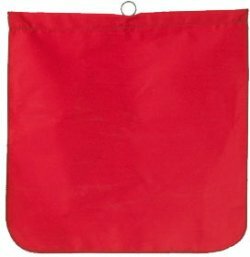 This Red Warning Flag is Solid Poly/Cotton Twill, with Wire Rod. It's constructed of heavy-duty material with sewn edges for added strength and durability. This flag is easily attached to the end of just about any long load. Radio still works. I've called several different times and you guys are always courteous and helpful. I do a lot of business and shopping online, and it seems that many companies can be quite rude and very un-helpful. It's nice that you answer the phone and can provide the information we need.